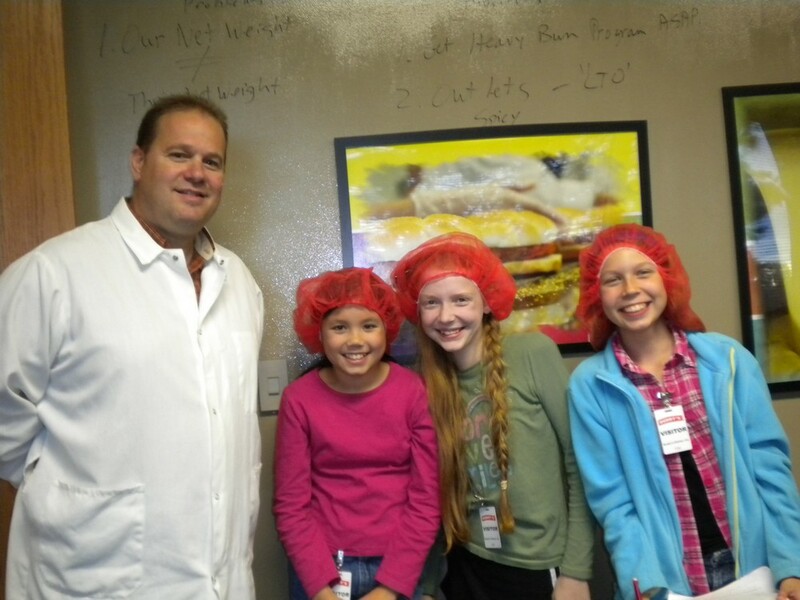 At this unusual meeting, we took a field trip to Buddy’s Kitchen to take a tour of the factory. This factory makes airline and gas station food. We got to see part of the sanitation process and learned how often they have to clean. We also got to see the giant refrigerator, freezer, and a storage area full of wooden pallets. We learned that it’s impossible to clean the wood, and plastic ones are very expensive. That gave us a few ideas for our research problem and solution. After that, we watched a brief slide show and sampled a delicious bagel sandwich. After this meeting, we thought about sanitation in restaurants differently, and got an idea or two for our research problem and solution.